Mr. Jones is a 20-year veteran of the real estate industry, including comprehensive master plan developments, single-family developments and the successful sales and marketing urban residential infill and redevelopment communities, in California and elsewhere. Eric has overseen the sales management, project marketing and branding strategies for several urban developers in San Diego, including Lennar/Intergulf Development, Centurion Partners, Smart Corner LLC, Canyon-Johnson Urban Fund, amongst other projects valued at over $1 billion. Prior to joining DAS Global, Eric was a founding partner of Urban Real Estate Services and with his partner Sherm Harmer they focused on boutique to large-scale mixed-use projects. His company oversaw the conceptual design, entitlement processing, capital placement, branding and the sales & marketing effort. Representative projects included One Paseo (Kilroy Realty), Makers Quarters (Navarro Family Trust & Lankford Assoc. ), the McMillin Family Little Italy project and Pernicano in the trendy Hillcrest Gateway District. 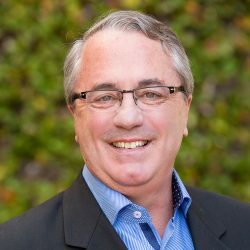 Previously Mr. Jones was Vice President of Acquisitions and Planning for the Irvine Company’s home building division, Donald L. Bren Company, and Land Acquisition Manager for Pacific Scene Development. Eric has a degree in Urban Planning/Architecture and Business Administration from Arizona State University and was an instructor in the University of California, San Diego’s Real Estate Development continuing education program. In addition, he is a board member on the San Diego Downtown Partnership and an active member of the Building Industry Association (BIA).